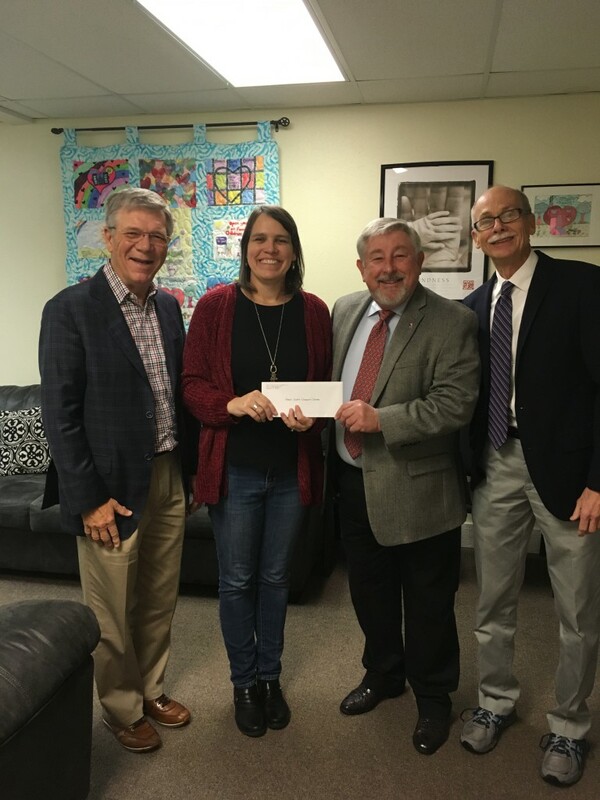 Trustees from the MW and Fair Miller Foundation recently presented a check for $20,000 to the Fannin County Children’s Center. 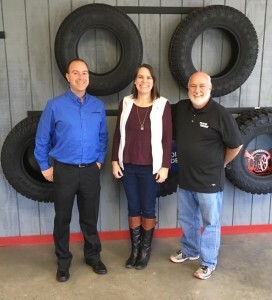 Pictured from left are Dr. Dana Sisk, Sandy Barber, Dr. Jerry Hopson and Tyler Todd. Trustees with the M.W. 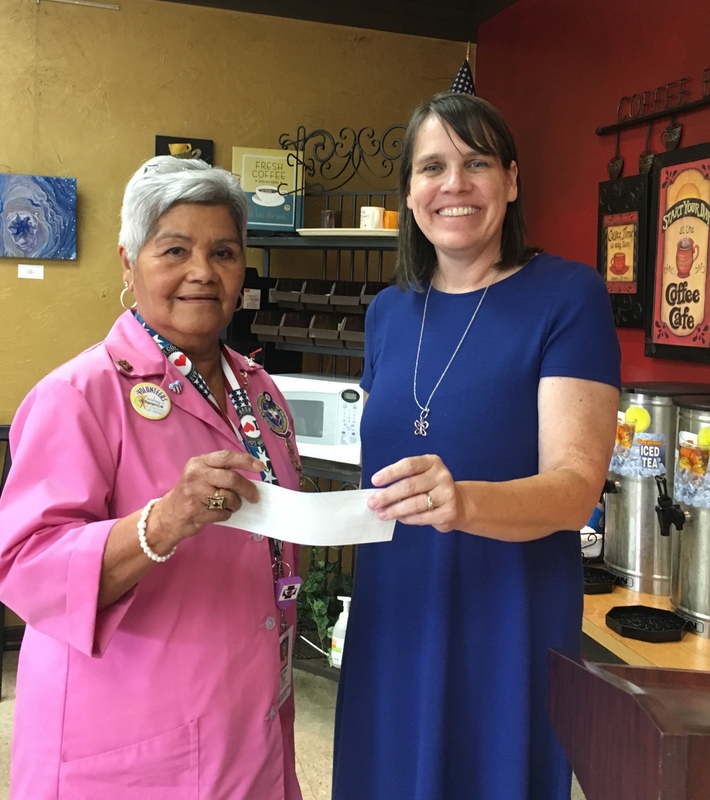 and Fair Miller Foundation have been personally delivering generous grants to many local non-profit organizations in Fannin County in the recent weeks. 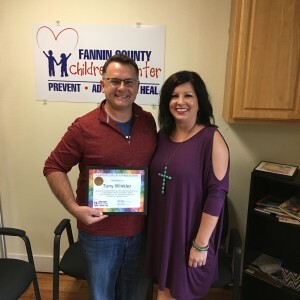 One generous gift was for $20,000 to the Fannin County Children’s Center. The M.W. 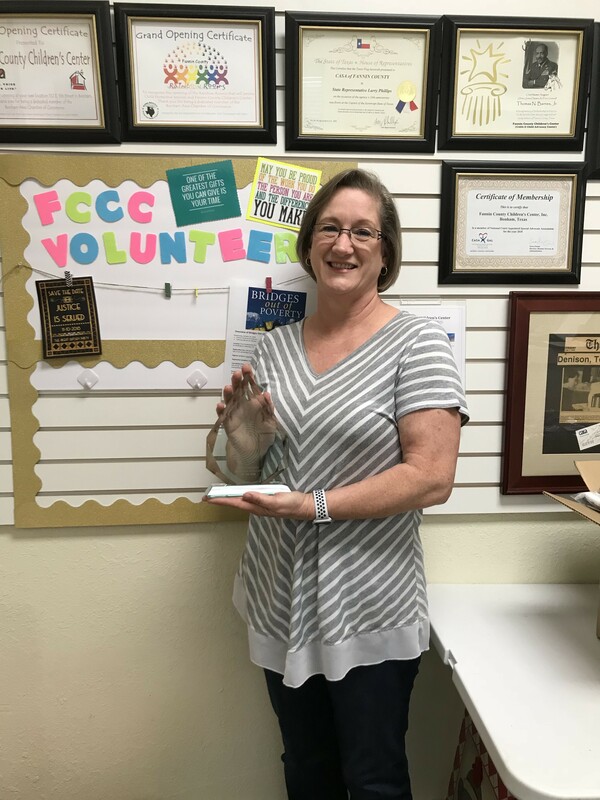 and Fair Miller Foundation was incorporated in 1988 and organized for the betterment and care of the children in Fannin County. Currently serving on the Board of Trustees are Tyler Todd, Dr. Dana Sisk and Dr. Jerry Hopson. The Fannin County Children’s Center is a nonprofit agency that has been serving abused and neglected children for more than 25 years. Programs include CASA, Children’s Advocacy Center and child abuse prevention. The number of children served by CASA has doubled in the past two years. In the fiscal year ending August 31, 2018, CASA served 131 children. 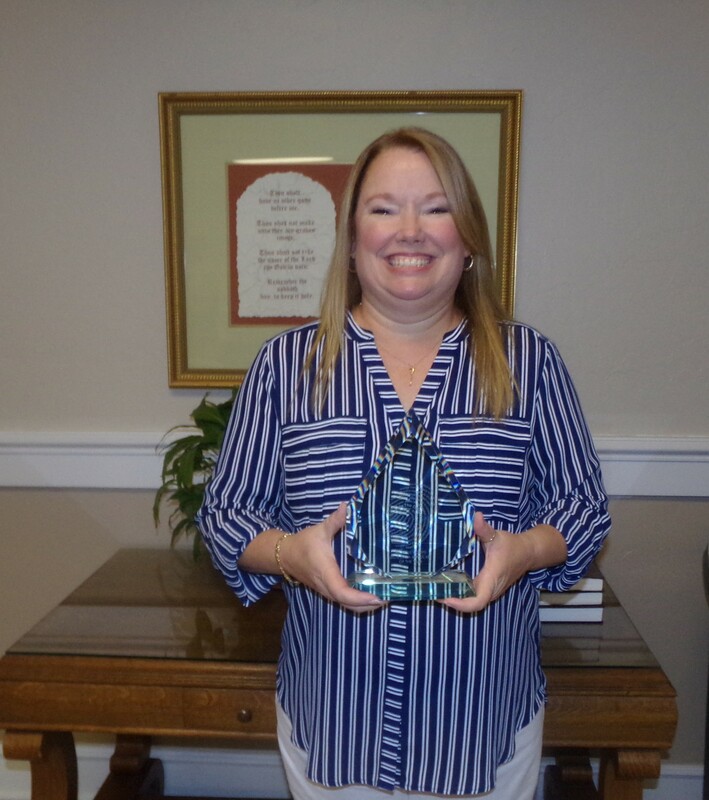 The Children’s Advocacy Center received 266 referrals in that same reporting period, which was more than double the number of referrals in the previous year. The next CASA volunteer training class, as well as the next prevention classes are scheduled for January. The annual Christmas drive at the Fannin County Children’s Center is already going full steam ahead. Staff and volunteers have been gathering lists of wishes and needs of the children, youth and families served by both CASA and the Children’s Advocacy Center. Faithful donors and supporters have already started contacting the center too in order to find out how they can be a part of the effort. Teddy bear trees are already up at many locations in the community to make sure the Christmas wishes and needs get filled. Some of the children helped by this project are living in foster homes, away from family and friends. Other children have gone to live with grandparents or other relatives as a result of abuse or neglect. Many of these families struggle financially when one or more children suddenly come to live with them. In other families, the discovery of sexual abuse in the home has meant the loss of family income when the offender leaves. Center staff and volunteers take the time to find out about the individual situation, needs, preferences and wishes of each child. The agency also works closely with Child Protective Services and other community agencies to ensure that efforts are coordinated and not duplicated. Donations of cash, toys, new clothes, coats, shoes and other items are now being accepted. Teddy bear trees, which contain the wish or need of a specific child, are up or will soon be up at the Tax-Assessor Collector’s Office, First National Bank of Trenton (Bonham, Trenton and Leonard branches), WalMart, Legend Bank, Blessings and Butterflies, Cole Title, Bonham Smiles, Tractor Supply and Warrior Tire. For donors who are short on time, the center also accepts cash donations which will be used to purchase gifts for the children. 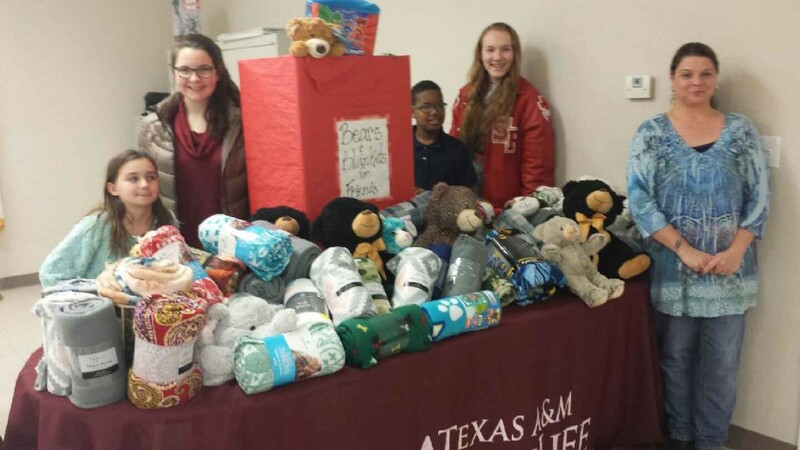 Donations can be brought or mailed to the center at 112 West Fifth Street, Bonham, Texas 75418. The center is open 8 am to 5 pm, Monday – Friday. Organizers ask that the donations arrive by Dec 14, or earlier if possible. This will allow time for gifts to be sorted and delivered in time for the holidays. Checks should be made out to FCCC and indicate they are for Christmas. Donations can also be made by credit or debit card on the center’s website. All donations are tax deductible to the extent allowable by law. For more information, call 903-583-4339 or visit www.fanninccc.org. Craft kits, markers, coloring books, etc. Justice Is Served – Honorable servers who served up dinner for guests at the Justice Is Served fundraiser for the Fannin County Children’s Center included (front row, from left) Fannin County Clerk Tammy Biggars, Adult Probation Chief Debra Roberts, 336th District Judge Lauri Blake, Fannin County District Clerk Nancy Young, Whitewright ISD Police Chief Judy Sims, (back row, from left) Juvenile Probation Chief Brandon Caffee, Fannin County Judge Spanky Carter, Justice of the Peace, Pct 2 Bob Clemons, Texas State Senator Bob Hall, Trenton Police Chief William Robertson, Honey Grove Police Chief Leigh Dixon, Justice of the Peace, Pct 3 Kenneth Karl, County Court at Law Judge Charles Butler, Fannin County Criminal District Attorney Richard Glaser and Fannin County Sheriff Mark Johnson. Early estimates are that the 14th Annual “Justice Is Served” fundraiser raised at least $65,000 for the Fannin County Children’s Center. This amount tops the previous best of $55,000 from last year. In addition, attendance was the largest ever, with nearly 500 in attendance at the dinner and auction at the Complex in Bonham. This year’s theme was The Great Gatsby. Many guests were wearing flapper dresses, pearl necklaces, feathered headbands, fedora hats and bow ties. 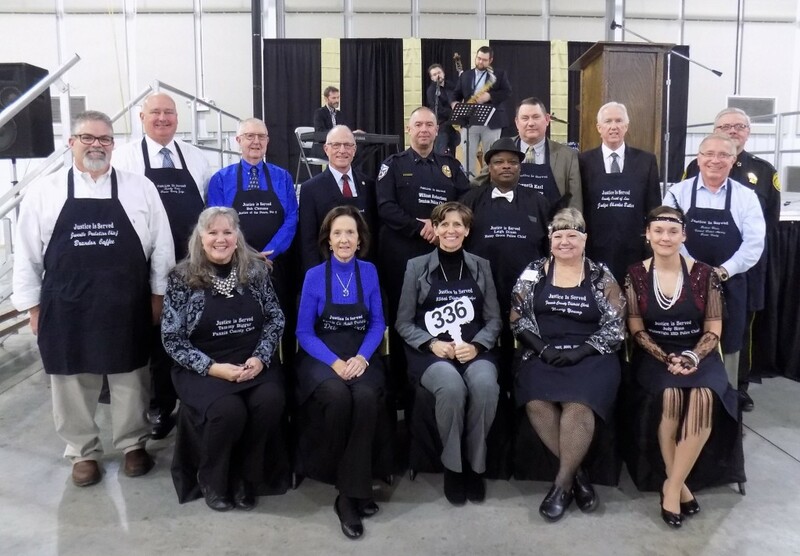 State Senator Bob Hall, District Judge Lauri Blake, Fannin County Judge Spanky Carter, Fannin County Sheriff Mark Johnson and several local officials of the justice system served up dinner guests. The James Dering band played jazz music while guests bid on around 200 items in the silent auction. Fannin County Game Warden Randolph McGee was the auctioneer for the evening. Judge Lauri Blake’s turtle brownies were the first item up for bid in the live auction and brought in $1050. A custom built entry way gate from Jason Garner Welding tied for the top bid in the live auction, bringing in $2,600 for the nonprofit. A one-of-a-kind bar with headlights that worked that was created by Tracey Lackey, Shawn Fulton, Jim McDonald and Brenda Magness also brought in $2,600. All proceeds from the event will sustain all of the support services provided by the Children’s Center for abused and neglected children, including CASA and the Children’s Advocacy Center. Time is running out to get tickets and tables for the 14th annual “Justice Is Served” to benefit the Fannin County Children’s Center. November 5 is the last day to get early bird pricing of $35 each for individual, open seating tickets. On November 6, the price will go up to $40 per ticket. Reserved seating for two, four, eight or sixteen people is also still available. Deadline to guarantee inclusion in the printed program for sponsors and auction donors is October 31. Doors to the Multi-Purpose Complex in Bonham will open at 6:00 pm on Saturday, Nov 10. A buffet dinner prepared by Feast on This will be served up by local judges, police chiefs, prosecutors, lawmakers and other justice officials. Guests will enjoy sampling sweet treats from a decadent dessert bar which will feature cupcakes from Cake Lane, sugar cookies from Robin Loreth and gourmet popcorn from Pop Around the Corner. A preview list of silent and live auction items is posted on the Children’s Center’s website. Live auction items include a one-of-a-kind bar and bar stools created by Tracey Lackey, Shawn Fulton and Brenda Magness, an antique secretary with hutch from Another Time Antiques and Collectibles, a framed Texas Flag from Senator Bob Hall and Judge Lauri Blake’s famous turtle brownies. Outdoorsmen and women may be interested in a one hour hog shoot from a helicopter for two people from Skyhunter Outfitters or a guided fishing trip for three donated by Jason’s Towing and Diesel Repair or a deer feeder donated by Mickey and Sophia Dyson. Children’s Center volunteer Tyler Knight has donated a pair of tickets to see Aaron Watson in concert and go back stage for a meet and greet. Other live auction items include a private wine tasting class for 14-20 people at Total Wine and a Slam Dunk Birthday Party Package for up to 10 guests from Dave & Buster’s in Frisco. This year’s event theme is The Great Gatsby. Organizers are planning a fun and elegant, 1920’s style evening with live jazz music by the James Dearing band. Guests are encouraged to dress up for this event and even wear 1920’s style clothing. Proceeds from the event will help sustain a wide variety of programs and services for children, including CASA, Children’s Advocacy Center and child abuse prevention. Platinum sponsors of the event are Kwik Chek, McCraw Oil, Cole Title Company and Jason Garner Custom Welding. Tickets and tables are on sale now for the 14th annual “Justice Is Served” to benefit the Fannin County Children’s Center. This year’s theme is The Great Gatsby. Organizers are planning a fun and elegant, 1920’s style evening with live jazz music by the James Dearing band. Guests are encouraged to dress up for this event and even wear 1920’s style clothing. Many of the center’s staff have been busy shopping for sparkly flapper dresses and long pearl necklaces. Proceeds from the dinner and auction will benefit the local nonprofit agency, which includes CASA, Children’s Advocacy Center and child abuse prevention programs. Doors to the Multi-Purpose Complex in Bonham will open at 6:00 pm on Saturday, Nov 10. A buffet dinner prepared by Feast on This will be served up by local judges, police chiefs, prosecutors, lawmakers and other justice officials. Guests will enjoy sampling sweet treats from a decadent dessert bar and bidding on numerous items in the silent and live auctions. A preview list of auction items will soon be posted on the center’s website. Proceeds from the event will help sustain a wide variety of programs and services for children. CASA provides children in foster care a caring, concerned, trained volunteer to advocate for them. The Children’s Advocacy Center (CAC) provides a safe, child-friendly location to go to when abuse is suspected. The CAC provides forensic interviews, counseling, information, referrals and other support services to aid the healing process, including a facility dog named Render. Platinum sponsors of the event are Kwik Chek, McCraw Oil, Cole Title Company and Jason Garner Custom Welding. Early bird pricing for individual, open seating tickets is $35 by Nov. 5. Tickets will cost $40 after Nov. 5 and at the door. Sponsorships with reserved seating are also still available. Deadline to be in the printed program is Oct. 31. 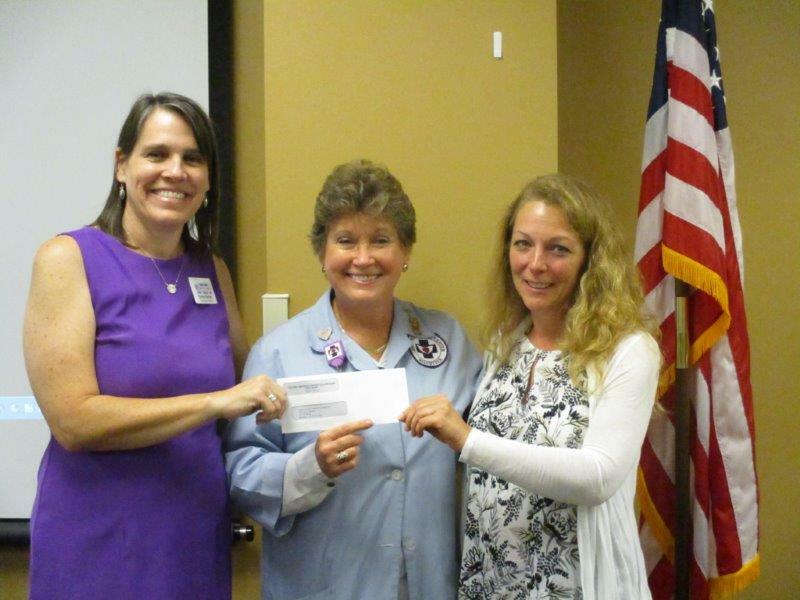 Texoma Medical Center Volunteers recently donated $23,500 to the Fannin County Children’s Center. This generous gift, combined with a generous gift from the TMC Bonham Hospital Volunteers will allow the Children’s Center to purchase a very special camera and computer system that can be used in cases of physical and sexual abuse, as well as domestic violence. Initially, this camera will be used by investigators with CPS and law enforcement in Fannin County to document bruises and other physical injuries. In the future, the Children’s Center plans to build a new facility and include a medical exam room for non-emergency sexual assault exams. The special camera and system can be used in those exams too. The donations will also cover the costs for training for investigators and on-going technical support. North Texas Giving Day a Huge Success in Fannin County! Nearly $25,000 was raised in one day for nine nonprofits in Fannin County on North Texas Giving Day. This year marked the tenth year of this community wide fundraising event hosted by Communities Foundation of Texas. It was the first year for the event to include Fannin County, Grayson County and a few other counties surrounding Dallas/Fort Worth Metroplex. In all, nearly 2,700 nonprofits participated in North Texas Giving Day on September 20, 2018. A grand total of more than $48 million was raised, which was $9 million more than last year. In Fannin County alone, 144 donations to 9 organizations totaled up to $24,414. 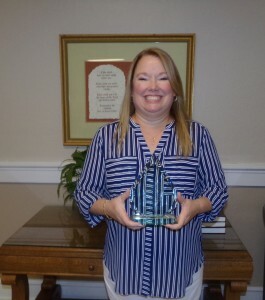 The nine nonprofits in Fannin County who participated included Bonham Education Foundation, Bonham High School Band Boosters, Chi Lambda, Fannin County Children’s Center, Fannin Health Clinic, Fannin Pregnancy Care Center, Morning Star Academy, SMAS Patient Assistance and The Isaiah’s Closet. The Children’s Center raised an amazing $9,366. These funds will be designated to go to a future building fund. As the demands for the services provided at the center have increased dramatically, the number of people working and volunteering at the center have increased. A new, larger space is needed to have room for all of the services and programs offered by the center, as well as space for partner representatives from CPS, law enforcement, prosecution and medical professionals. North Texas Giving Day is powered by Communities Foundation of Texas, a 65-year-old community foundation that has presented North Texas Giving Day since 2009. The foundation professionally manages more than 1,000 charitable funds for families, companies, foundations and nonprofits and has awarded more than $1.8 billion in grants since its founding in 1953. North Texas Giving Day is a community-wide celebration and an event that lifts up giving by engaging the entire community to support local nonprofits, celebrating their important role in strengthening the region. It is also an efficient way for charitable organizations to raise funding for critical services to support North Texans. For more about North Texas Giving Day, go to www.northtexasgivingday.org.